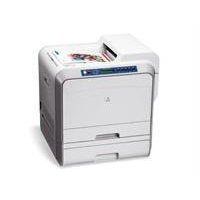 Trusted Reviews has tested a multifunction color laser printer called Xerox Phaser 6121MFP/N. 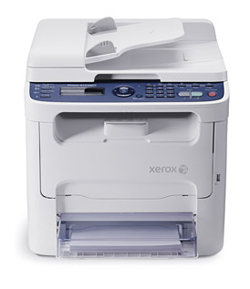 This MFP from Xerox is able to copy, fax, email and scan, and is equipped with an Automatic Document Feeder. Trusted Reviews ends up giving the Xerox Phaser 6121MFP/N an overall score of 7 out of 10 points. The Xerox printer scores highest on print quality, a bit lower on value and features while scoring lowest on print speed. The Xerox is a good printer but it has a few shortcomings like very slow print speeds when printing colors and the print costs are pretty high. Read the full review of the Xerox Phaser 6121MFP/N color laser multifunction printer here. 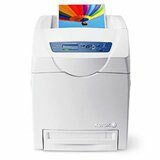 Printer Comparison has tested the Xerox Phaser 6140 color laser printer. This printer from Xerox is able to print up to 21 pages per minute in black and 19 pages per minute in color. Printer Comparison ends up giving the Xerox Phaser 6140 color laser a good review as it prints quickly and the documents it makes is of high standard. The printer also has a compact design and does not use much energy. The only downsides are no duplexing and a small display. Read the full review of the Xerox Phaser 6140 printer here. PC Magazine has reviewed the Xerox WorkCentre 3220/DN monochrome laser all-in-one printer. This printer from Xerox is able to print, scan, fax and copy, and is targeted at small businesses. PC Magazine gives the Xerox WorkCentre 3220/DN a “Good” rating where it scores 3 out of 5 points. The reviewer likes that the printer has a lot of useful features like the email sender for faxes and stand-alone copier. The Xerox machine is also able to make prints of pretty high quality. What the reviewer does not like is that installation guide is a bit lacking and only cover the basic setup. Read the full review of the Xerox WorkCentre 3220/DN laser printer here. Printer Comparison has reviewed the Xerox Phaser 6280DN workgroup printer. It is interesting to see how this business printer holds up in the testing. Printer Comparison ends up giving the Xerox Phaser 6280DN printer a good review as the printer is able to print fast and of good quality. The only downside is a bit small LCD screen on the printer. 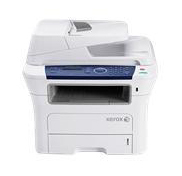 The Xerox Phaser 6280DN seems like a good choice for small business needing a good deal of prints. Read the full review of the Xerox Phaser 6280DN workgroup printer here.